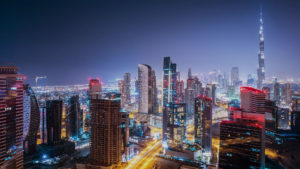 With an aim to be the largest international network of Smart Cities, the Smart Dubai Global Network is facilitating the cordialness in the community with tech-enabled and human-centric services and is getting ally with all individuals and entities of advanced technology, smart living, and fourth industrial revolution breakthroughs. Incorporating more than 140 members, the Smart Dubai Global Network is a patron to government and private sector organisation, media channels, research centres, academic institutes and experts from different fields like Blockchain, Artificial Intelligence (AI), government paperless services, big data, Internet of Things (loT) and other emerging technologies. The Smart Dubai Global Network approach is agile which is an easy path for members to join the network online and know one another through the first comprehensive global Smart City directory. With this process, Smart Dubai and other networks are able to interconnect one another to contribute on mutually beneficial areas of interest.